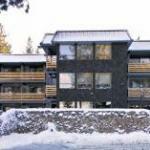 Hotel Azure is perfectly located for both business and leisure guests in South Lake Tahoe (CA). The property has everything you need for a comfortable stay. Service-minded staff will welcome and guide you at Hotel Azure. Comfortable guestrooms ensure a good night's sleep with some rooms featuring facilities such as flat screen television air conditioning heating wake-up service desk. The property offers various recreational opportunities. Discover all South Lake Tahoe (CA) has to offer by making Hotel Azure your base.